Our next event will be the Calcutta races, Saturday, November 11, 2017, at Elinor’s house. Another great time was had November 8 at our annual Calcutta races. The event was originally scheduled for the previous day which was rainy and dreary. On Sunday the weather cooperated with a sunny, not-too-hot day. The temperature was cool enough early in the morning that some of the racing teams were able to hold their first training run for the season before the Calcutta. This year we had 14 teams competing. The winning team was Frank’s number 1 team with Dawson, Nikko, and Gelph with a raw time of 10.78 (time with penalty 11.28). The team was owned by Diane. Diane also owned the second place team, Ron number 1 with Halley, Robin, and Hero. In third place was Frank number 2 with Nate, Cutter, and Samba, owned by Jane. 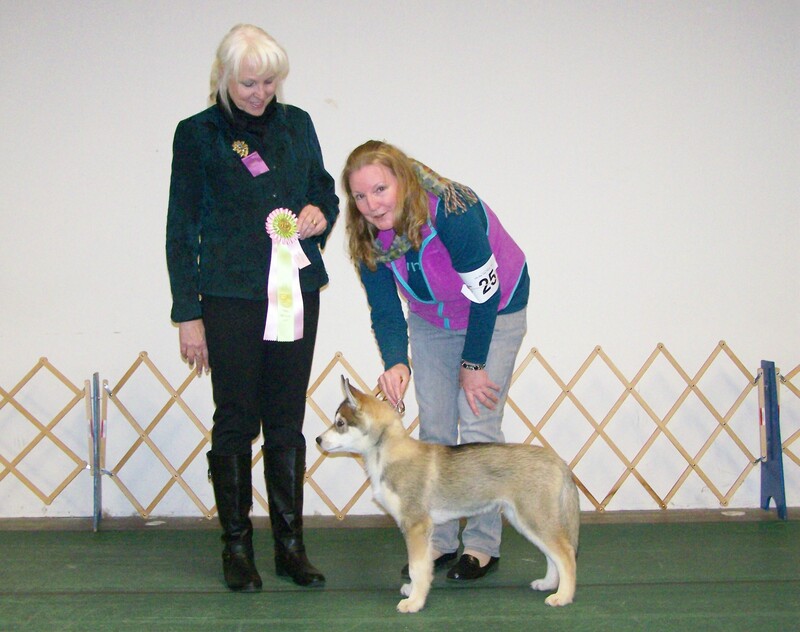 Several puppies (Melody, Keeonah, and Baxter) also attended and watched, maybe picking up tips for next year. Here are some photos from the event, thanks to Bunny (Houston and Willow) and Bernie (all others). 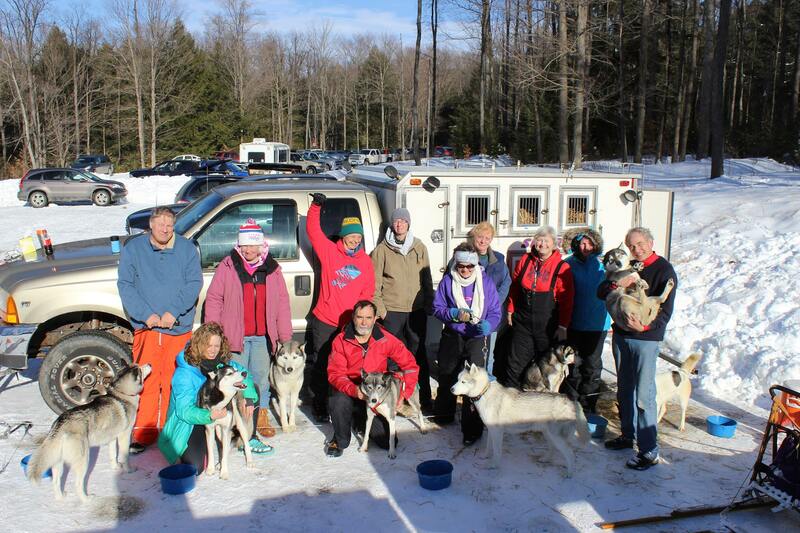 Bernie reported from the Jim Lobdell Memorial Sled Dog Races in Clarendon, PA, held January 17 and 18. 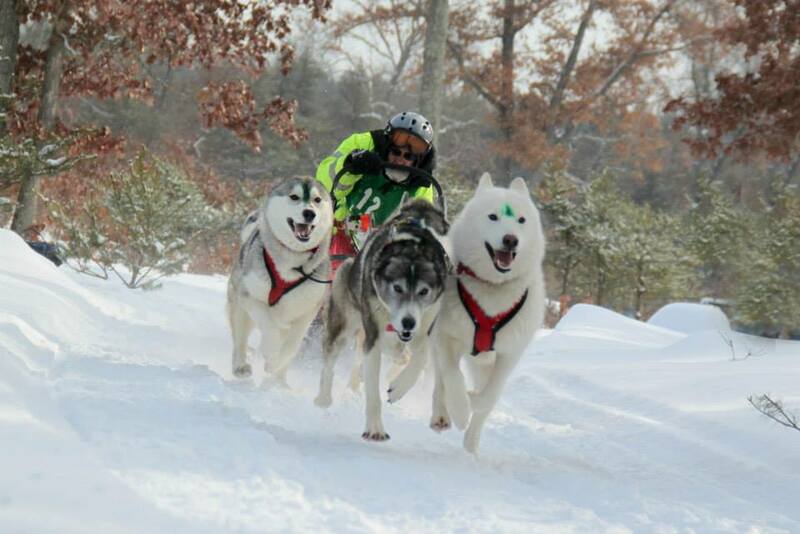 Our Chesapeake Siberian Sled Racing team just got back from a fantastic and fun filled race weekend in Western PA with our dogs, 33 Siberian Huskies, including our mascot and Public Relations Coordinator – “Blizzard”. After all the races were over, awards given, we wanted to take a group picture of each of our mushers and their lead dog(s). Then I snuck the second shot in, when they were NOT paying attention (that happens occasionally in our Group)…as a perfect example of the REALITY in this wonderful group of friends and our dogs. 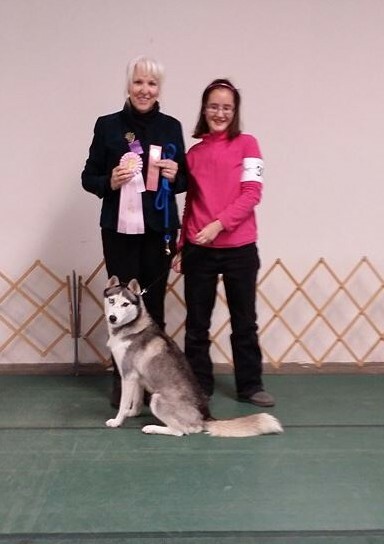 PS, and for Jill, this was her very first sled dog race ever, she made it around the entire course, (5 miles, with a 4 dog team) uneventfully, BOTH days, and ultimately placed 5th out of 11 teams entered in her class! 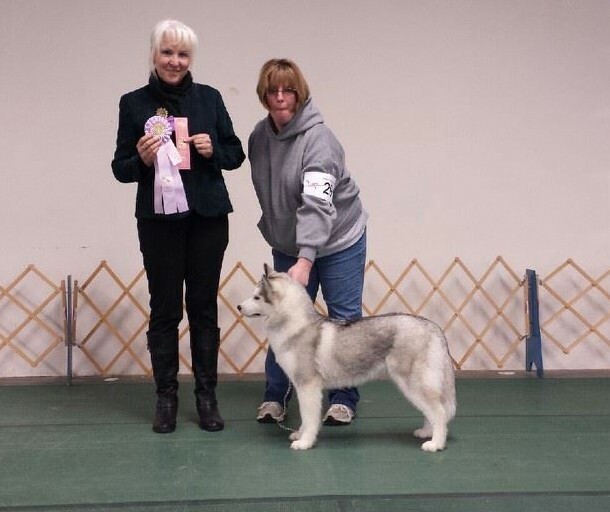 I’m SO proud of her, considering…she did not have *real* lead dogs! 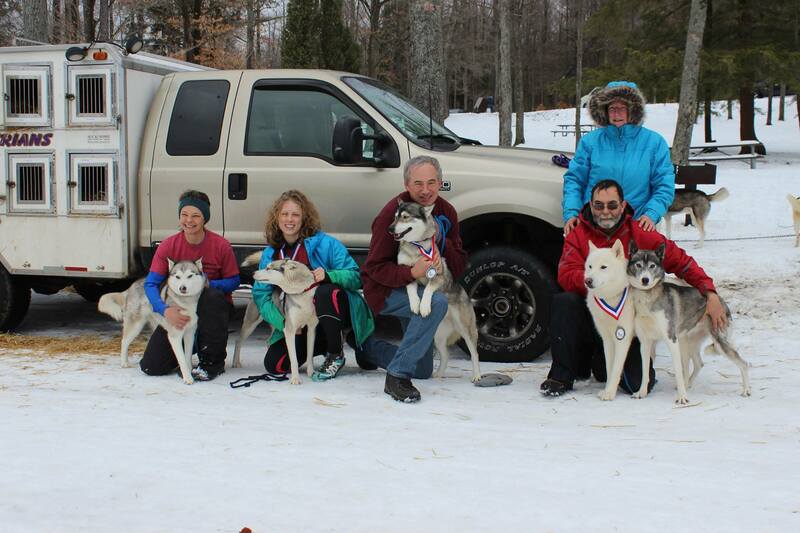 Left to right: Storm Simms (Jill) with “Luna”, Cassandra Florian with “Lily”, Joseph Fitzgerald with “Holly”, Ron Gagne and Terri Rendon with Hiro and Halley. Another photo from Bernie of the whole crew that made it to this race. Kevin, Cassandra, Debby, Jill, Ron, Edie, Sandrina, Bernie, Gale, Terri, and Joe. 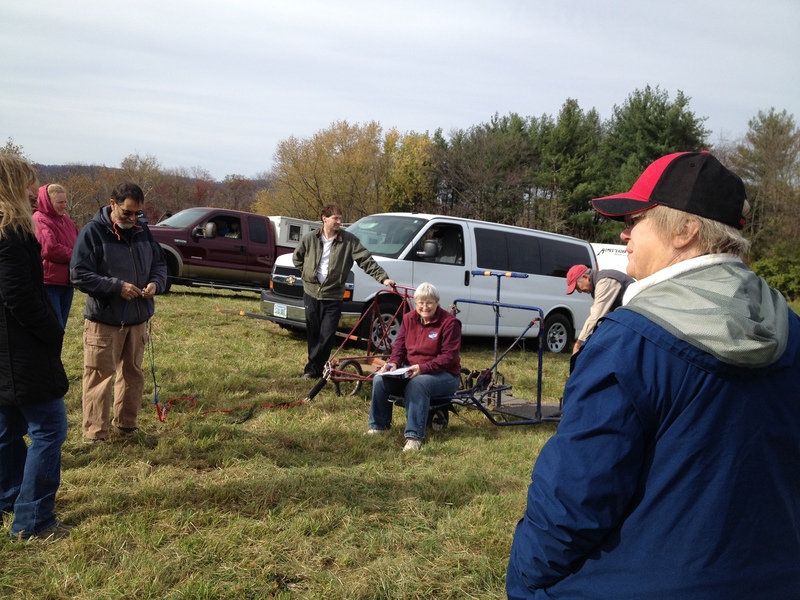 Saturday November 8 CSHC held its annual Calcutta race and meeting. As usual we had a great day betting, racing, and eating! Unfortunately some members who are usually there could not make it, but some newer members and potential members joined in. We had a total of 13 teams racing. Five teams had novice drivers. All did well and all finishing times were within 4 seconds. 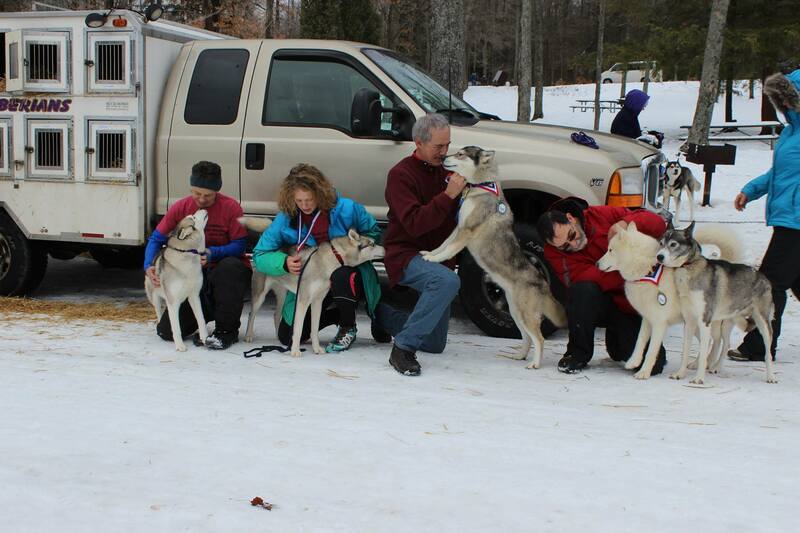 The winning team of Dawson, Nikko and Nate was driven by Frank and owned by Diane. Joe’s team of Holly, Gretzky, and Christian (owned by Debby) was second and his team of Greyson, Knight, and Holly (owned by Scott) took third. 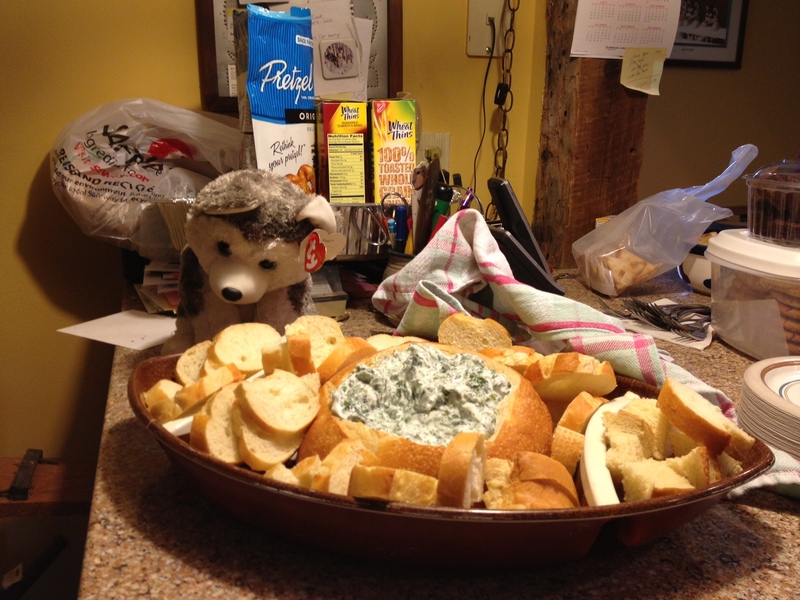 We of course had abundant and wonderful food following the racing. One favorite dish was Doug’s crab soup. He has kindly shared the recipe. On January 4 CSHC held its annual Specialty B-OB and Rally Match in Point of Rocks. Here are a few photos taken by Bernie Rogers. Congratulations to Hali Gange, who won Best Junior in the match, showing Gale’s Cassie. Thanks to Sue Mahla for the photo. 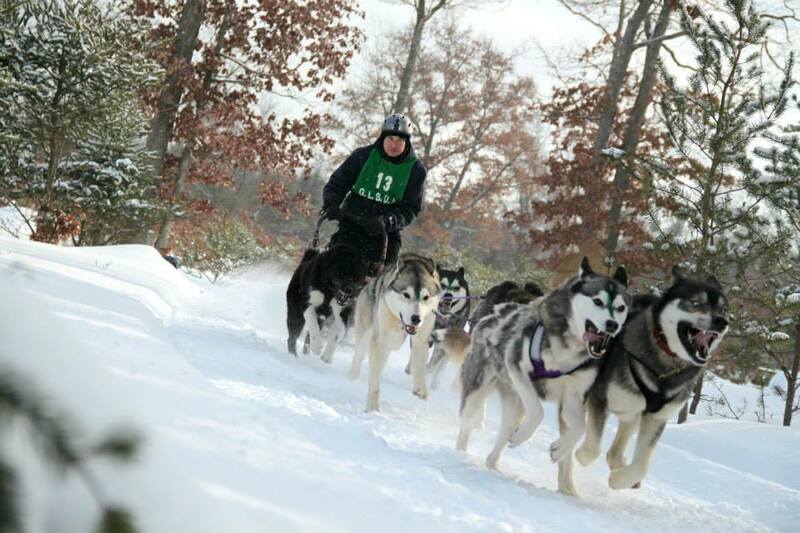 A few members were unable to attend the match because they had gone to Clare, Michigan, for a sled dog race. Cassandra with team in Clare, MI. 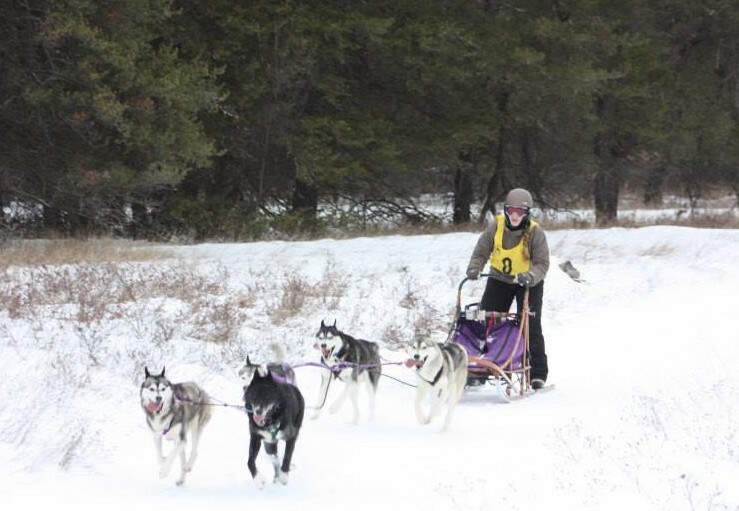 This was Cassandra’s first sled dog race. Friends, Food, Fun, and Fundraising! All part of our annual Calcutta races held this past Saturday (Nov. 16). Why is this called a ‘Calcutta’? A Calcutta auction is an open auction held in conjunction with a golf tournament, horse race or similar contest with multiple entrants. Bidding for each contestant begins in random order, with only one contestant being bid upon at any time. Accordingly, participants (originally in Calcutta, India, from where this technique was first recorded by the Colonial British) bid among themselves to “buy” each of the contestants, with each contestant being assigned to the highest bidder. The contestant will then pay out to the owner a predetermined proportion of the pool depending on how it performs in the tournament. 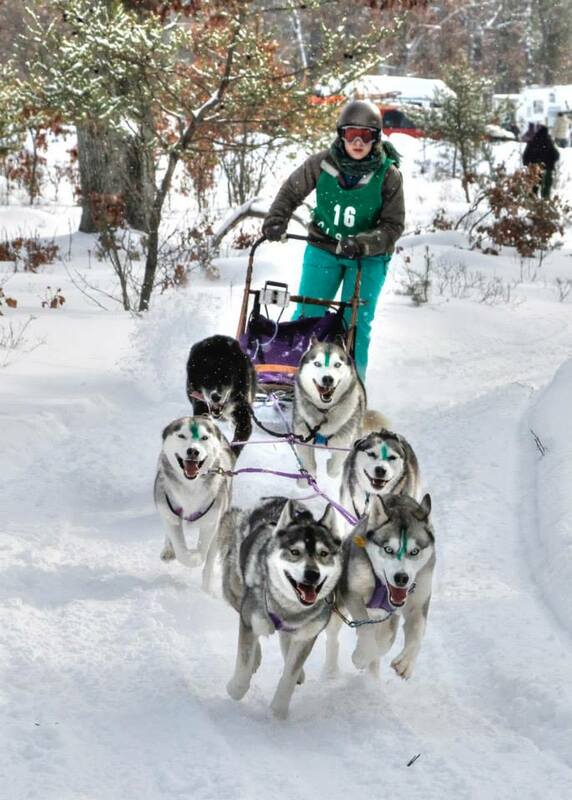 For the CSHC dog cart races we form teams of three dogs with one musher. People bid on the teams. The club gets half the proceeds (the fundraising part of the event) and the top three team owners split the rest. 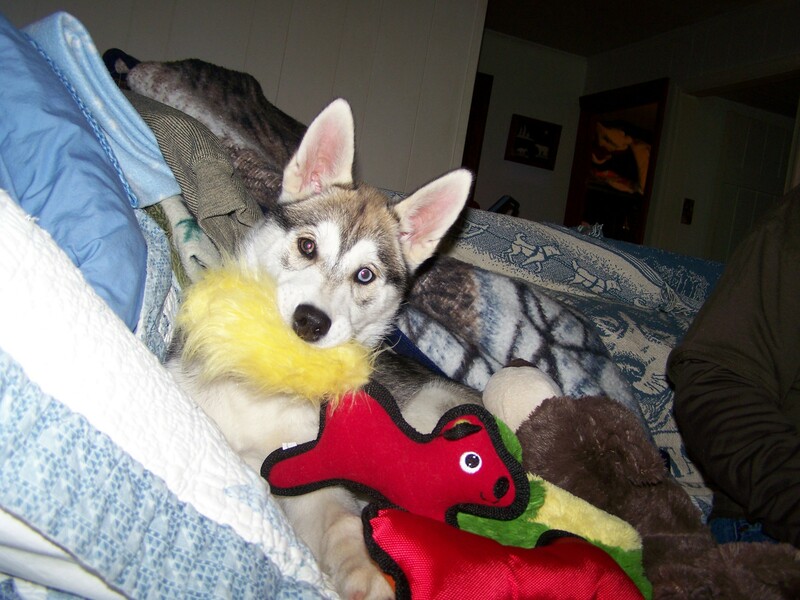 The fastest team musher also gets a prize. To make things more interesting each owner draws a number (0-5) which adds a penalty (0-2.5 sec) to the time of their team. 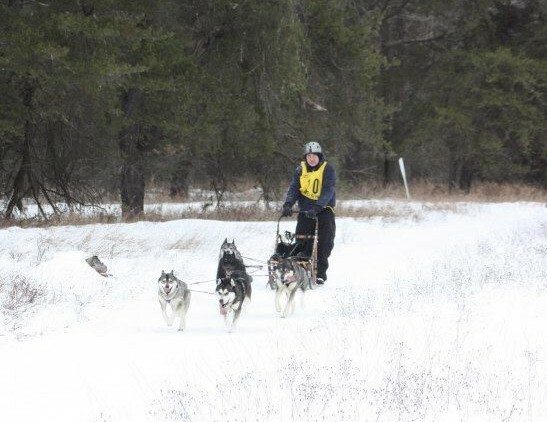 This year we had experienced mushers (Roland and Joe) and a number of novices (Jill, Cassandra, Rob). There were also a lot of young, inexperienced dogs. But overall most did very well. There was one sort of pile up and a number of teams wanted to turn off in the middle of the course, but most made it to the end. 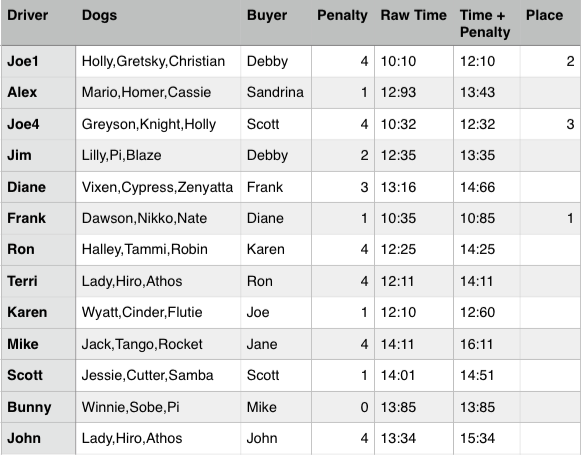 First place was won by Jill with the team of Holly, Sarge, and Lilly, owned by Bernie. Second place was Roland with Knight, Savannah, and Ranger, owned by Carolan. 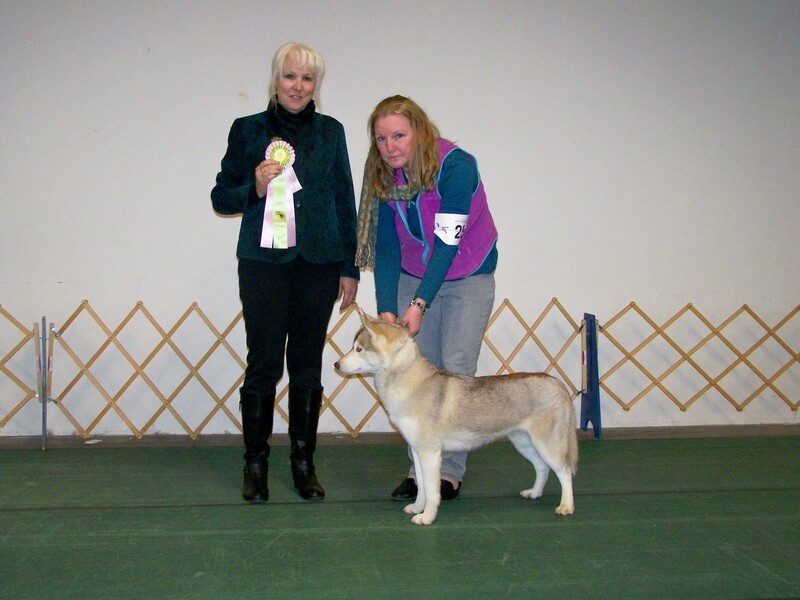 Third place was Cassandra with Braego, Grayson, and Sobe, owned by John. 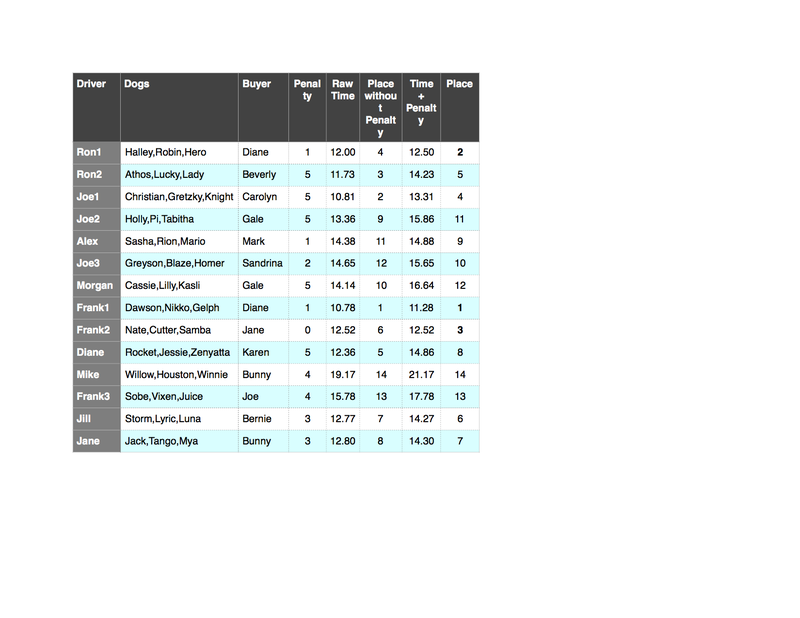 The team with the fastest actual time was Roland’s with Knight, Savannah, and Ranger. Racing was followed by food and a meeting. A few photos of the day, thanks to Bernie.